From the early 1950s to the early 1970s, the CIA ran a mind control program that included hiring prostitutes to lure johns into “safe houses” where government agents imprisoned and drugged the johns to see if they could brainwash them. LSD was their drug of choice. It’s crazy to think about. It’s also a fairly well-known part of Cold War American history. The program was called MKULTRA. If you want to fall into a rabbit hole, do a web search of it. I don’t really want to fall into that rabbit hole or send you there. 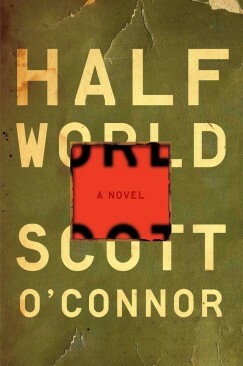 I only bring it up because I recently read and reviewed a novel that was set against the backdrop of MKULTRA: Scott O’Connor’s Half World. My review posted on the main page of the Los Angeles Review of Books today. One of my favorite things about the LA Review of Books–both as a reader of it and as a contributor–is the freedom they allow their reviewers. Reviews blend into essay territory, covering not only the book in question but the larger issues surrounding the book’s ideas. I like that, in a world where books seem to be viewed more and more as commodities, LA Review of Books treats them as they should be: a place for ideas to be nurtured, to flourish. Anyway, before I wander off to far on that tangent, I’m going to give the link to my review, then get on with my day.